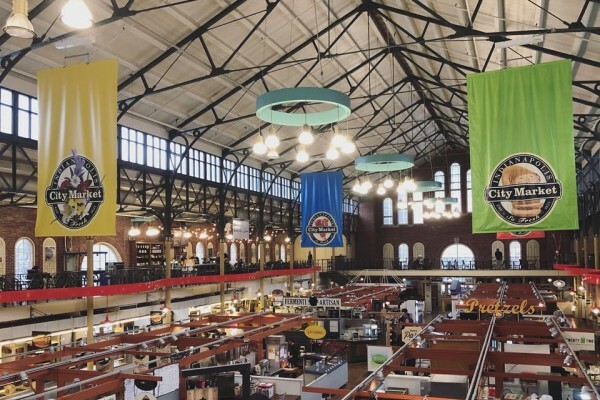 This renovated historic public market boasts more than 30 merchants and is an excellent place to grab lunch, shop for unique gifts, enjoy a pint of local beer or simply hang out with friends and family. Visit on Wednesdays between 9:30 a.m. until 1:30 p.m., May - October to enjoy one of central Indiana's most popular outdoor farmers markets. Stop by today to experience good food, good drinks and good times. Description Bring your lunch or grab a bite from a City Market restaurant and enjoy the beautiful outdoor public plazas. 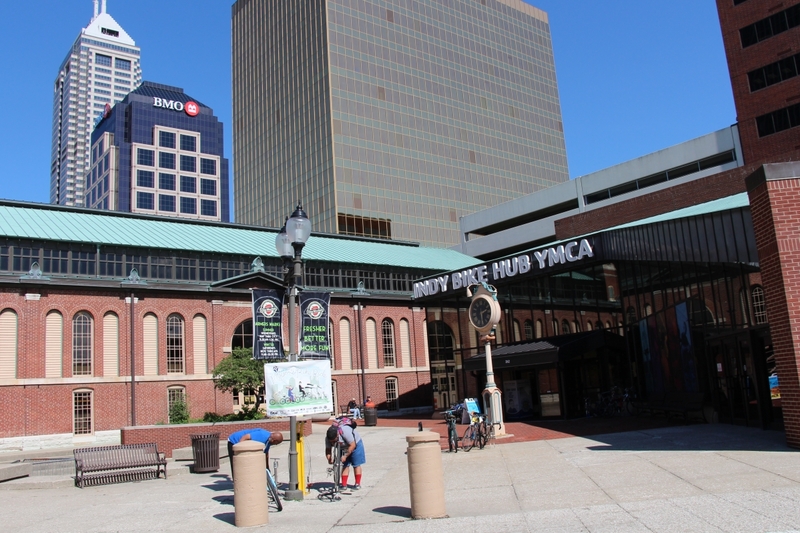 Located in the Market East Cultural District, the plazas are a great location for private or public events. They can accommodate tents or booths and catering is available on site through City Market vendors. 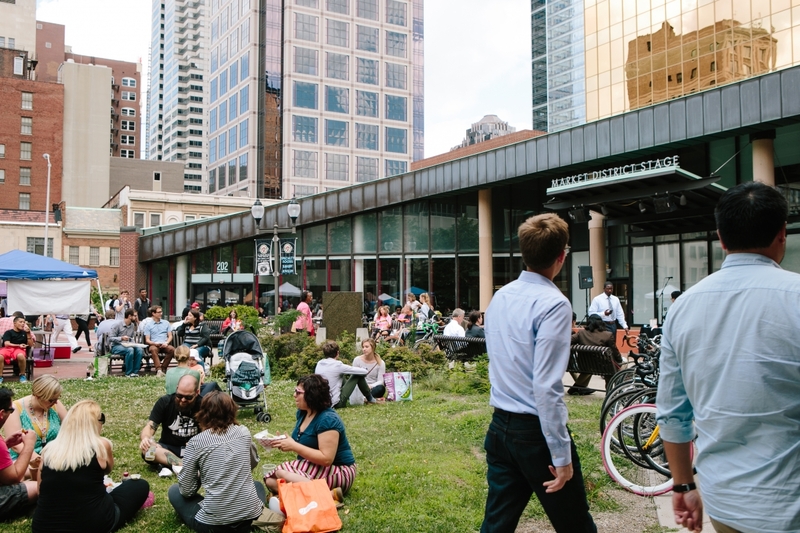 Two outdoor plazas, tables and chairs, accessible from Indianapolis Cultural Trail, Sun King Market District stage in Whistler (west) Plaza is rentable for performances.